Select BeltColor: Select ColorBlackBrown Select Size: Select Size32343638404244 This item is currently out of stock! 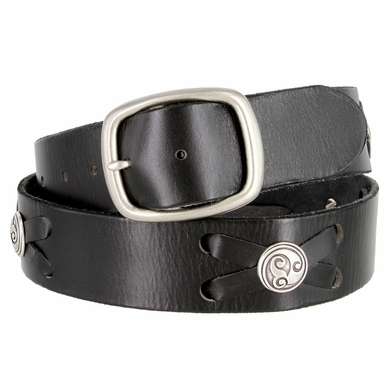 100% Genuine Full-Grain Leather Belt 1-3/4" wide Made with snaps for interchangeable buckles: Just snap off and snap on. Solid Brass Buckle with solid Antique Silver plated Celtic Swirl Conchos at every "X".